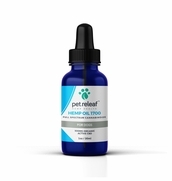 Pet Releaf Hemp Oil 700 is a full spectrum certified USDA organic CBD (Cannabidiol) Hemp Oil for dogs. 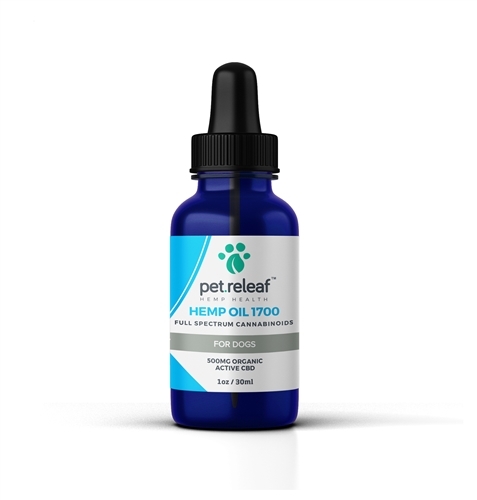 Derived from the PR-33 proprietary strain of certified organic hemp grown specifically for pets. The entire plant (seeds and stalk) is used in the extraction of CBD hemp oil and provides all the benefits of CBD along with providing a multitude of additional benefits provided by the terpenoids and flavonoids. Contains 500mg of active CBD. Packaging: Dropper bottle 1 oz (30 ml). Contains 500 mg of active CDB.